First, determine the peak flow for the worst situation that matches up the month of maximum crop water needs. Second, determine the worst point about pressure requirements, it might be the farthest point from the pumping station, the highest or both of them at the same time. But this is not the most efficient solution. The scenario for which we have designed the peak flow will appear a few days throughout the year. Depending on the crop and its water needs, plants demands different amount of water every month, even when the system is running for 100% of the surface that it has been designed. Furthermore, we have supposed the system will be operational at 100% since day one. However, the surface will be transformed into irrigation over several years. Again we find that the optimum operating point will not be the same and this situation could last for years. For example, over the years I’ve found that the pace of modernization of the plots has slowed. 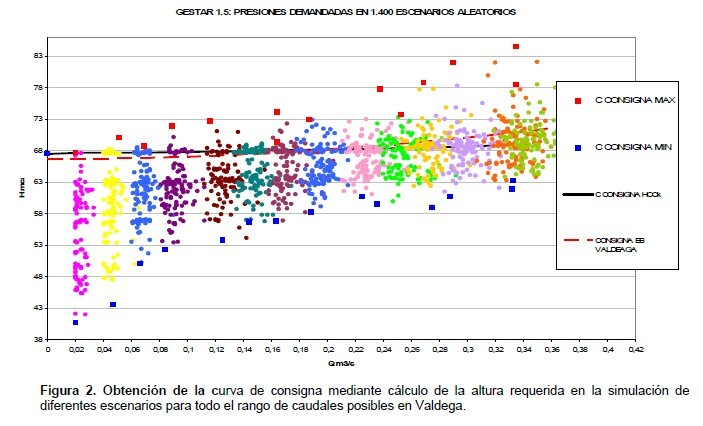 Recently the number of farm improvement and management applications for government subsidies have increased (I’m talking about Aragon region, Northern Spain) and local administration is dilating aid approval. Consequently, farmers keep on waiting susdidies and they will not start the expensive irrigate works in their land for the moment. 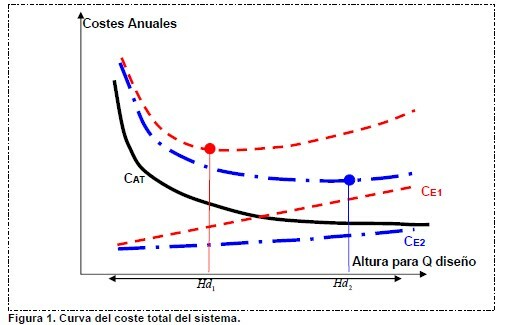 The projected hydraulic system, designed for the most unfavorable situation, will be operating in a regime which it has not been designed for and consequently it will get lower performance than expected (and higher energy costs). The pumping system has to be flexible and able to adapt to different demands. And not only that, a good design also supposed to function at peak performance in all cases. 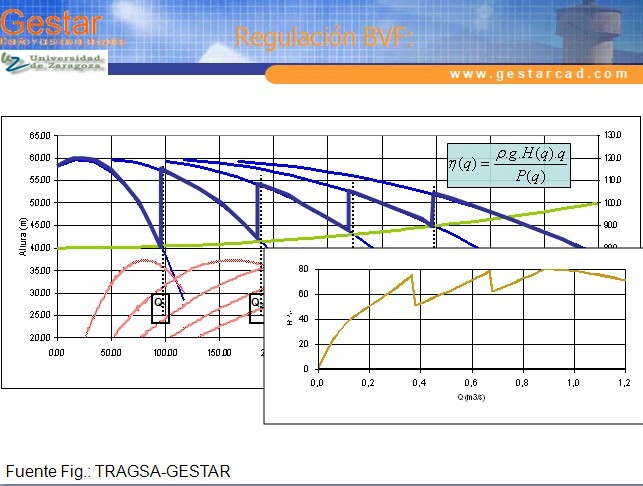 So, in my opinion, it is crucial to calculate the flow demand curve and then choose the curve of the pumping equipment that suits the demand curve with the best performance. Other optimization guidelines involve pumping organize shifts for homogeneous and optimized operation point on cheaper electricity rates. Another fundamental aspect that must take into account is the proper maintenance of pumping equipment with corresponding protocols and trained maintenance staff is essential. Once pumping facilities are already completed and in operation is also highly recommended conducting energy and equipment operation audits. These audits aim to identify improvements in management and equipment that can bring significant economic savings associated.